This Site is a forum for universities and businesses ("Employers") to offer internships to potential interns ("Interns"). 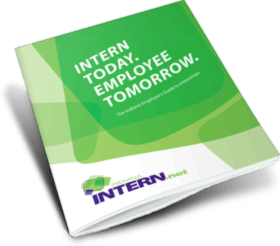 The ultimate transaction between Employer and Intern, however, does not occur on this Site and Indiana INTERNnet is not a party to any such transaction and will not be responsible or liable for any such transaction. Nothing in this agreement creates a joint venture, partnership, employment, or agency relationship between Indiana INTERNnet and any user, Employee, Intern or other party. You agree that Indiana INTERNnet is only an intermediary that merely relays information about certain opportunities by and between registered Users, and provides Content of general interest to non-registered users. Indiana INTERNnet is not considered an employer with respect to your use of our services and the Site. Moreover, Indiana INTERNnet will not be responsible for any employment or university decisions made, for whatever reason, or for any posted internship or cooperative education opportunities on the Site. Users of the Site are responsible for all taxes and salaries occasioned by any transaction between Users. In connection with your use of the Site, you agree to use the Site for lawful and legitimate purposes only. Accordingly, you agree that you will not: (1) transmit any message, information, text, file, software, source code, data, graphic, photograph, graph, sound, image, audio and/or video clip or other material (collectively "Content") that is unlawful, harmful, threatening, abusive, harassing, tortious, defamatory, vulgar, obscene, libelous, or otherwise objectionable or that may invade another's right of privacy or publicity; (2) impersonate any person or entity or misrepresent your condition or state of mind; (3) post or transmit any Content that any law or contractual or fiduciary duty prohibits you from reproducing, displaying, or transmitting; (4) post or transmit any Content that contains a virus or corrupted data; (5) delete any author attributions, legal notices, or proprietary designations or labels that you upload to any communication feature; (6) use the Site's communication features in any manner that adversely affects the availability of its resources to other users; (7) post or transmit any unsolicited advertising, promotional materials, "junk mail," "spam," "chain letters," "pyramid schemes," business opportunities requiring up-front periodic payments, or any other form of unlawful solicitation, illegal business opportunity, or other inappropriate material; (8) violate any applicable local, state, national, or international law; (9) upload, transmit or submit any Content that infringes any patent, trademark, trade secret, copyright or other proprietary rights of any party; (10) post to the Site any incomplete, false, inaccurate, or misleading information about yourself or any other party; (11) delete or revise any Site Content or any Material posted by any other person or entity; (12) manipulate or otherwise display the Site by "deep linking," "framing" or similar navigational technology; (13) violate Indiana INTERNnet security mechanisms; (14) access any data or server you are not authorized to access; or (15) otherwise breach the security of the Site or corrupt the Site in any way. copy or modify, reverse engineer, disassemble, redistribute, republish, upload, adapt or reuse any of the text, graphics, or other Content or any of the source code or HTML code Indiana INTERNnet uses to generate its pages, database, and search engines without Indiana INTERNnet's prior written permission. This permission terminates automatically without notice if you breach any of these Terms or any applicable law. Upon termination, you immediately must destroy any downloaded and/or printed Content. Unless otherwise indicated, all trademarks, graphics, logos, names, package designs, and other marks used on this Site are owned by Indiana INTERNnet and its partners and are used under license from same. The use or misuse of any of these marks or other information is strictly prohibited. The trademarks and service marks ("Trademarks") used or displayed on the Indiana INTERNnet Site are registered and/or unregistered trademarks of Indiana INTERNnet or its partners, unless otherwise noted. Nothing in this Site should be implied as granting any license or right to use any Trademarks displayed on the Site without the express prior written permission of Indiana INTERNnet or other trademark owner. The names "Indiana INTERNnet", "IndianaINTERN.net", "IndianaINTERN.com, "IndianaINTERNnet.com" and "Brain Gain," and any of the Indiana INTERNnet and Brain Gain logos, may not be used in connection with any third-party products or services in any manner that disparages or discredits Indiana INTERNnet or in any way without Indiana INTERNnet's express written permission. All other brands and names are the property of their respective owners. We make no warranties or representations to you that your use of any Content displayed on the Site will not infringe the rights of third parties. No license is implied and none should be inferred to allow linking to this Site using any framing technology or to allow "deep linking" to any page on this Site other than the home page, and we reserve all of our rights under the law to insist that any such link to this Site be discontinued. If you submit any Content to us, including any comments, remarks, suggestions, ideas, notes, drawings, graphics, concepts, recipes, or other information, then you grant to Indiana INTERNnet and all other users of the Site a worldwide, royalty-free, and nonexclusive license to reproduce, modify, distribute, transmit, display, perform, adapt and publish or otherwise use the Content (including in digital form) as we see fit without your consent and without payment to you or anyone else, and you acknowledge that such Content will be treated as non?confidential and non?proprietary. This is true whether you submit such Content to us by e?mail, through a form on the Site, via a bulletin board, through a chat room, or in any other manner. You acknowledge that Indiana INTERNnet does not pre-screen Content, but that Indiana INTERNnet and its designees have the right (but not the obligation) in their sole discretion to screen, block, or restrict access to, or the availability of, or to disable, any Content that is available on the Site. You must evaluate and bear all risks associated with the use of any Content, including any reliance on the accuracy, completeness, or usefulness of such Content. Without limiting the foregoing, Indiana INTERNnet and its designees may disable, restrict access to or the availability of, any Content that violates the Terms, is illegal, or is otherwise objectionable. You acknowledge that you are solely responsible for the Content that you submit, and that you, not Indiana INTERNnet, have full responsibility for the Content, including its legality, reliability, appropriateness, originality, and copyright. Therefore, you agree not to submit or transmit any material that is unlawful, threatening, libelous, defamatory, obscene, pornographic, profane, or might in any other way violate any law or any right of another. Indiana INTERNnet reserves the right to pursue all legal or procedural remedies arising out of violations of the above stated policy, including but not limited to the deletion of postings from the Site and/or immediate termination of your registration and/or ability to access Indiana INTERNnet or any other services provided by us. THIS SITE AND ALL CONTENT, INFORMATION, SERVICES, AND PRODUCTS CONTAINED ON THIS SITE ARE PROVIDED "AS IS" AND "AS AVAILABLE" WITHOUT WARRANTY OF ANY KIND, EITHER EXPRESS OR IMPLIED, INCLUDING IMPLIED WARRANTIES OF MERCHANTABILITY, FITNESS FOR A PARTICULAR PURPOSE, OR NON-INFRINGEMENT. Indiana INTERNnet MAKES NO REPRESENTATIONS OR WARRANTIES ABOUT THE ACCURACY, COMPLETENESS, QUALITY, TRUTH, OR SUITABILITY OF ANY OF THE MATERIAL ON THIS SITE, OR ON ANY SITE OR SITES "LINKED" TO THIS SITE. Indiana INTERNnet MAKES NO WARRANTY THAT THE WEB SITE WILL BE AVAILABLE, UNINTERRUPTED, OR ERROR FREE, THAT DEFECTS WILL BE CORRECTED, OR THAT THE SITE OR ITS SERVER ARE FREE OF VIRUSES OR OTHER HARMFUL COMPONENTS. Indiana INTERNnet MAKES NO WARRANTY THAT YOU WILL ACHIEVE SUCCESSFUL RESULTS FROM FOLLOWING ANY INSTRUCTIONS, DIRECTIONS, OR RECIPES ON THE SITE. Indiana INTERNnet WILL NOT BE LIABLE FOR THE ACCURACY OR COMPLETENESS OF THE CONTENT OR INFORMATION ON THIS SITE OR ON ANY LINKED SITE. IN ANY CASE, Indiana INTERNnet's LIABILITY TO YOU FOR ANY LOSSES, DAMAGES, INJURIES, AND CLAIMS OF EVERY KIND (WHETHER IN CONTRACT, NEGLIGENCE, TORT, OR OTHERWISE) WILL NOT BE GREATER THAN THE AMOUNT YOU PAID TO ACCESS THE SITE. YOUR USE OF THIS SITE IS AT YOUR SOLE RISK AND ANY CONTENT THAT YOU DOWNLOAD IS DOWNLOADED AT YOUR OWN DISCRETION AND RISK AND YOU ARE SOLELY RESPONSIBLE FOR ANY DAMAGE TO YOUR COMPUTER SYSTEM AND FOR ANY LOSS OF DATA THAT RESULTS FROM THE DOWNLOAD OF ANY SUCH CONTENT, INCLUDING ANY DAMAGES RESULTING FROM COMPUTER VIRUSES. ANY INFORMATION OR ADVICE, WHETHER ORAL OR WRITTEN OBTAINED BY YOU FROM Indiana INTERNnet WILL NOT CREATE ANY WARRANTY OR CONDITION NOT EXPRESSLY STATED IN THE TERMS. Indiana INTERNnet's EMPLOYEES ARE NOT AUTHORIZED TO VARY THESE TERMS. YOU AGREE THAT IN NO EVENT WILL Indiana INTERNnet OR ITS PARTNERS BE LIABLE FOR ANY DIRECT, INDIRECT, PUNITIVE, INCIDENTAL, SPECIAL, EXEMPLARY, OR CONSEQUENTIAL DAMAGES ARISING OUT OF OR IN ANY WAY CONNECTED WITH THE USE OF THIS SITE OR WITH THE DELAY OR INABILITY TO USE THIS SITE, FOR WHATEVER REASON, OR CONNECTED WITH ANY INFORMATION, PRODUCTS, AND SERVICES AVAILABLE ON OR THROUGH THIS SITE, INCLUDING WITHOUT LIMITATION, DAMAGES FOR LOSS OF PROFITS, REVENUE, GOODWILL, USE, DATA, ELECTRONICALLY TRANSMITTED ORDERS, LOSS OF REVENUE OR ANTICIPATED PROFITS OR LOST BUSINESS OR LOST SALES OR THE COST OF PROCURING SUBSTITUTE GOODS OR SERVICES, OR OTHER ECONOMIC ADVANTAGE WHETHER BASED IN CONTRACT, TORT (INCLUDING NEGLIGENCE), STRICT LIABILITY, OR OTHERWISE, EVEN IF Indiana INTERNnet OR ITS PARTNERS HAVE BEEN ADVISED OF THE POSSIBILITY OF DAMAGES. IN NO EVENT WILL THE TOTAL LIABILITY OF Indiana INTERNnet AND ITS PARTNERS RELATED TO OR ARISING FROM USE OF THIS SITE, WHETHER BASED IN CONTRACT, TORT (INCLUDING NEGLIGENCE), STRICT LIABILITY, OR OTHERWISE, EXCEED, IN THE AGGREGATE, THE FEES PAID, IF ANY, TO Indiana INTERNnet AND ITS PARTNERS BY THE AGGRIEVED PARTY, EVEN IF Indiana INTERNnet OR ITS PARTNERS HAVE BEEN ADVISED OF THE POSSIBILITY OF SUCH DAMAGE. THESE LIMITATIONS WILL APPLY NOTWITHSTANDING ANY FAILURE OF ESSENTIAL PURPOSE OF ANY LIMITED REMEDY. YOU HAVE THE SOLE RESPONSIBILITY FOR ADEQUATE PROTECTION AND BACKUP OF DATA AND/OR EQUIPMENT USED IN CONNECTION WITH THE SITE AND WILL NOT MAKE A CLAIM AGAINST Indiana INTERNnet OR ITS PARTNERS FOR LOST DATA, RE-RUN TIME, INACCURATE OUTPUT, WORK DELAYS OR LOST PROFITS RESULTING FROM THE USE OF THE CONTENT. You covenant not to sue, whether in contract, tort, or otherwise, and you agree to defend, indemnify, and hold Indiana INTERNnet and its Partners and affiliates, and all of their officers, directors, shareholders, legal representatives, co-branders, partners, employees, successors, assigns, and agents harmless from and against any and all claims, proceedings, damages, injuries, liabilities, losses, costs, and expenses (including reasonable attorneys' fees and litigation expenses), relating to or arising from (1) your use of this Site, (2) your breach of this Agreement, and (3) your dispute with another User of the Site. You will not settle or otherwise dispose of any matter that is subject to indemnification by you without the prior written consent of Indiana INTERNnet. Indiana INTERNnet reserves the right to assume the exclusive defense and control of any matter subject to indemnification by you. Some jurisdictions do not allow the exclusion or limitation of incidental or consequential damages, so the above limitation or exclusion may not apply to you. All materials on this Site are provided solely for the purpose of promoting Indiana INTERNnet's operations in Indiana. Indiana INTERNnet makes no representation that the materials on the Site are appropriate or available for use in other locations. If despite these conditions, you use the Site from outside of Indiana, you are solely responsible for compliance with any applicable local laws. Indiana INTERNnet does not consent to jurisdiction in any forum outside of Indiana. Indiana INTERNnet reserves the right, in its sole discretion, to change, modify or discontinue any aspect or feature of this Site, including without limitation, the content, availability, access and/or the Terms of this Site, in whole or in part, or to impose new conditions, including without limitation adding fees and charges for use at any time without prior notice to you. Such changes, modifications, additions, or deletions will be effective immediately upon notice thereof, which notice may include posting such changes on this Site. Indiana INTERNnet may terminate this agreement at any time, without notice to you, if it believes, in its sole judgment, that you have breached or may breach any term or condition of this agreement, or it may terminate this agreement for its convenience or for any other reason. You may terminate this agreement at any time by destroying all materials received from Indiana INTERNnet Site and ceasing to use the Site. If any court of competent jurisdiction holds any provision of this Agreement invalid or unenforceable, then such provision will be enforced to the maximum extent permissible so as to effect the intent of this Agreement, and the remainder of the Agreement will remain in full force and effect. The section headings in this Agreement are for the convenience of the parties only, and will have no substantive meaning and will not be used to construe or interpret any provision of this Agreement. Indiana INTERNnet's failure to insist on strict performance of any of the Terms of this Agreement will not operate as a waiver of any subsequent default or failure of performance. No waiver by Indiana INTERNnet of any right under this Agreement will be deemed to be either a waiver of any other such right or provision, or a waiver of that same right or provision at any other time. This Agreement is governed by, and will be construed and enforced according to, the laws of the State of Indiana, U.S.A., without regard to any provision that would make the laws of another jurisdiction applicable. You consent to the exclusive jurisdiction and venue of the federal and state courts sitting in Indianapolis, Indiana, U.S.A., with respect to any disputes arising under this Agreement and/or in relation to any information, content, use, or transaction associated with this Site. You agree to comply with all applicable laws, including any international laws, in using the Site. This Agreement constitutes the entire agreement between you and Indiana INTERNnet with respect to the matters covered by this Agreement, and it supersedes all prior or contemporaneous communications and proposals, whether electronic, oral, or written, between you and Indiana INTERNnet with respect to subject matter. IF YOU DO NOT AGREE TO BE BOUND BY THE TERMS OF THIS AGREEMENT, YOU MAY NOT REGISTER TO USE THE SITE OR POST ANY INFORMATION TO THE SITE.